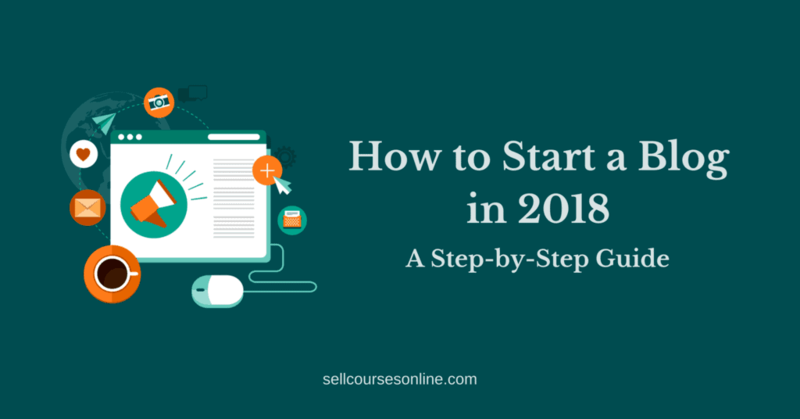 Starting a blog is one of the best ways to build an audience for your online courses and it’s not by chance that so many successful course creators also run popular blogs in their niche. Blogging can help you drive targeted traffic from search engines as well as social media and thus provide you an opportunity to connect with your potential customers. If done right, it will also help you establish as an authority who people look up to for advice and would want to learn from. However, growing a blog takes a lot of time and hard work. Blogging is a long-term game and you won't see results in a few days or weeks. So, you should start a blog only if you’re serious about it! Only thing that you can be sure of is that if you put effort into your blog on a consistent basis, the results will be worth it. That said, starting a blog in 2018 is easier than ever. 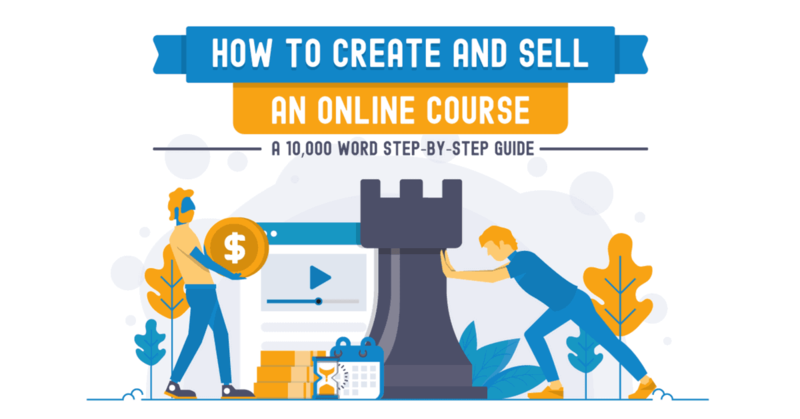 In this guide, I’ll take you through all the steps involved in creating a blog and you’ll be able to create your own in the next 30 minutes. 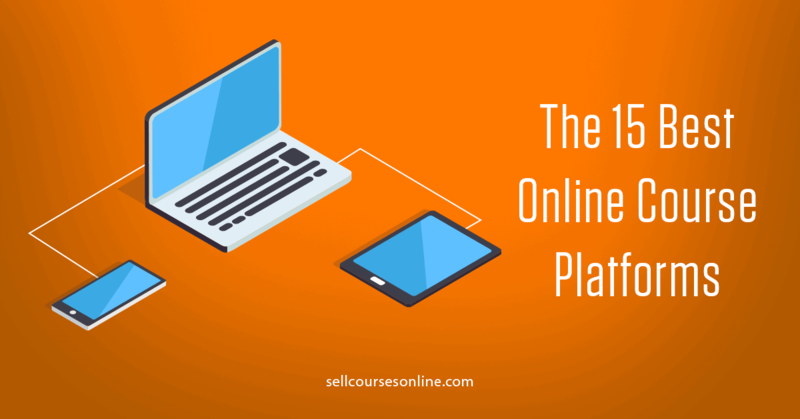 As a creator, you have several options when it comes to choosing a blogging platform. You can start your blog using free services (e.g. 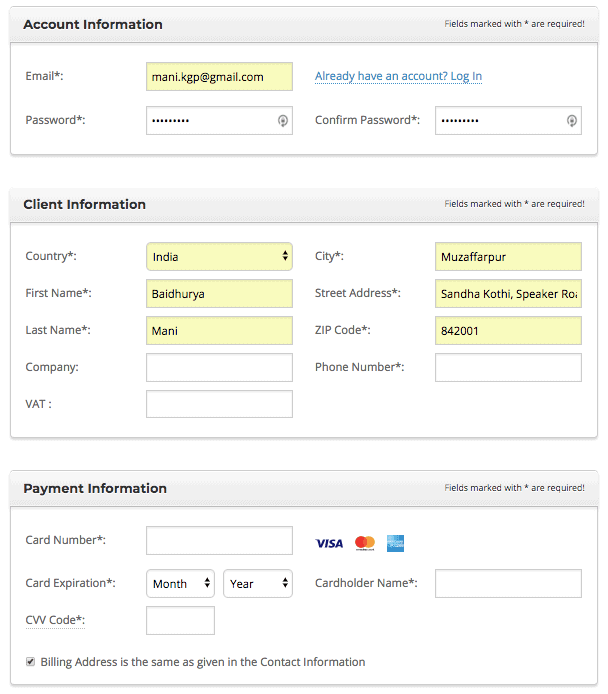 blogger), a paid hosted solution (e.g. Squarespace) or even using your course platform (e.g. 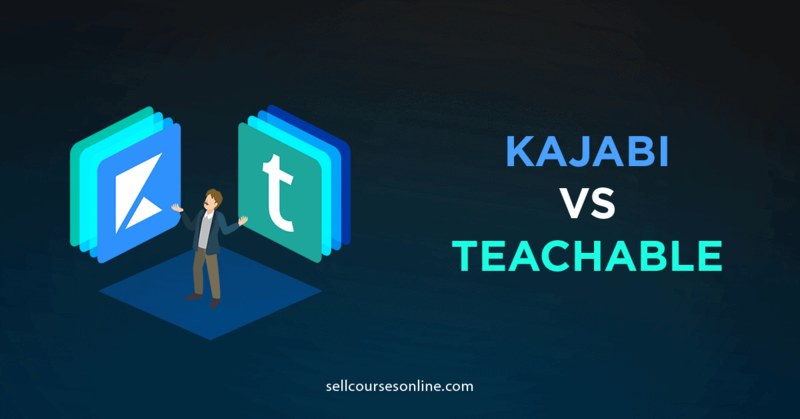 Teachable, Kajabi). However, the self-hosted WordPress is by far the best and the most popular option for creating your blog. It powers more than 90% of the blogs on the internet including this one and is what I recommend you use for creating your blog. 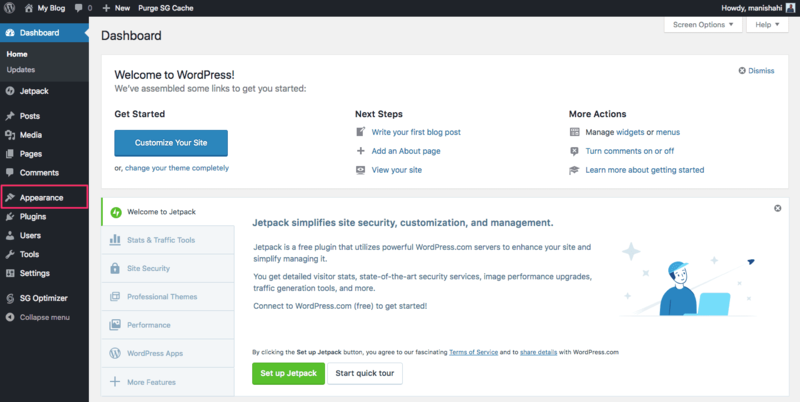 WordPress is free to download and install and you just need a domain name and hosting to get started. WordPress gives you complete control over your content and is the most SEO friendly blogging platform. You can choose from thousands of themes available to create any type of design for your blog. You can also extend the functionality of your blog by using (50,000+) plugins available for WordPress. So, now that you know what blogging platform to use and why, let me show you how to create a WordPress blog. The first thing that you need in order to start a blog is a domain name. The domain name will be the address of your blog on the internet and it’s gonna define your brand and your business. So, you should put some thought into choosing a domain name. 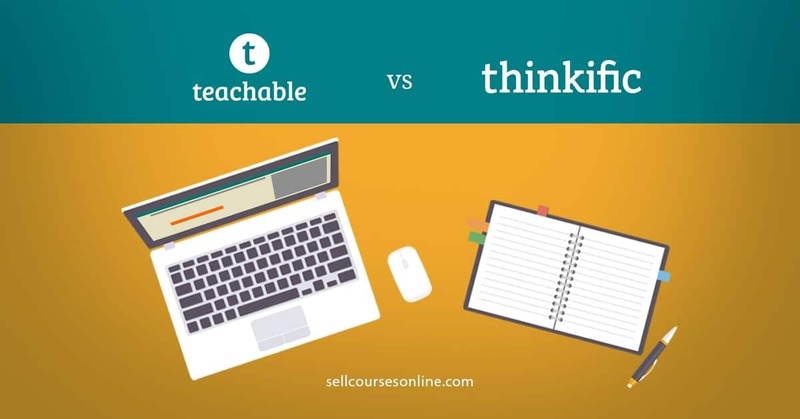 If you already have a website for your online courses e.g. www.learnacademy.com, you can host your blog on a subdomain like blog.learnacademy.com. Choose a brandable domain name over a generic, keyword-stuffed domain name. You can include your keyword but do remember that your domain name has very little SEO value now. If it’s a personal brand that you’re building, consider using your name as the domain (www.myname.com). Use a .com domain when possible. Use .net or .org only when .com is not available. The domain name should be short, memorable and easy to type. Don’t use hyphens or numbers in your domain name. I will show you how to register your domain name shortly. Apart from a domain name, you also need a web host that will allow you to host your blog content including text, images, files etc. There are several hosting providers that offer reasonably priced hosting packages starting as low as $3 per month. I have personally used popular hosts like Bluehost, Godaddy and Inmotion Hosting. However, the one that I currently use for all my blogs is SiteGround. In my opinion, SiteGround is the best shared hosting option out there and my experience with it has been nothing but great. You don’t need to use Siteground if you don’t want to but believe me, it is much better than other shared hosting providers when it comes to speed and customer support and I highly recommend using it as your host. In order to purchase a domain and hosting, go to www.SiteGround.com and click on the Sign Up button. You will be taken to the pricing page where you'll need to select the right hosting package. The packages on this page are heavily discounted and here you'll find the best prices offered by SiteGround. Go for the StartUp plan if you're just getting started and want to pay a minimum amount for hosting. 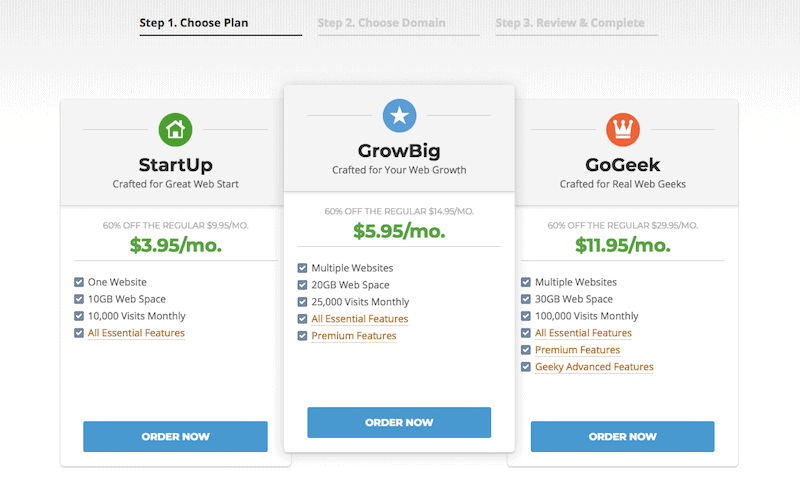 However if you can spend a little extra, go for the GrowBig plan which offers premium features like SuperCacher that can speed up your blog significantly. Once you decide the right hosting package for you, click on the Order Now button. 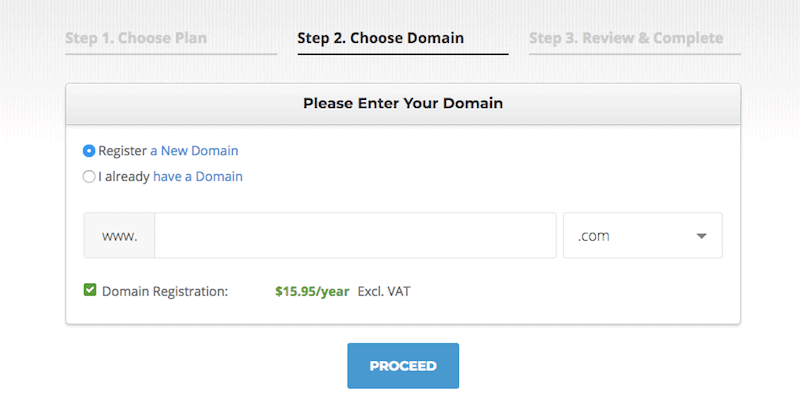 In the next step, you'll be able to register a new domain, the charges for which is $15.95/year. If you already have a domain, just enter the domain name and click on the Proceed button. You can easily change the domain name you enter here later. Next, you'll need to enter your information and complete your purchase. Once you do that, you will get access to your SiteGround dashboard and you can start building your blog. With other hosts like Bluehost, you'll normally get a lot of upsell options for essential things like site backup, SSL certificates etc. all of which are included in your hosting package with SiteGround and so there won't be any additional costs. 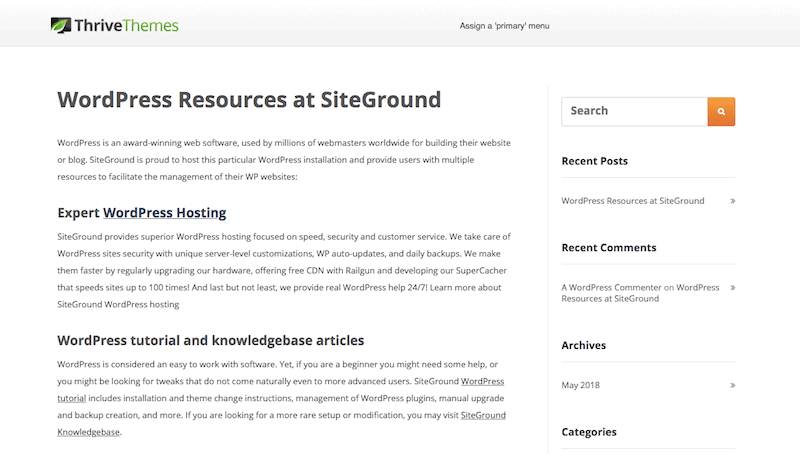 SiteGround makes it really easy for your to install WordPress and you’ll be able to do it in a couple of minutes with SiteGround’s 1-click installation. 1) Login to your SiteGround account at: https://ua.siteground.com/login.htm. 2) Once you’re logged in, go to My Accounts -> Cpanel. 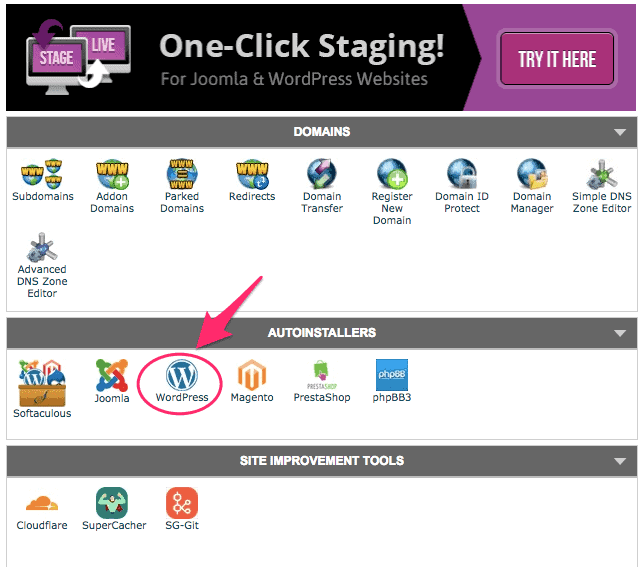 3) In your Cpanel, you’ll find WordPress under AutoInstallers. Click on the icon and that will take you to the WordPress installation page. 4) Click on the Install option on the next page and select Quick option. 5) Choose your domain, create a username & password, enter your email address and then click on the Install button at the bottom. That's it and WordPress should now be successfully installed on your domain. If you need any further help with WordPress installation, you can get in touch with their support. 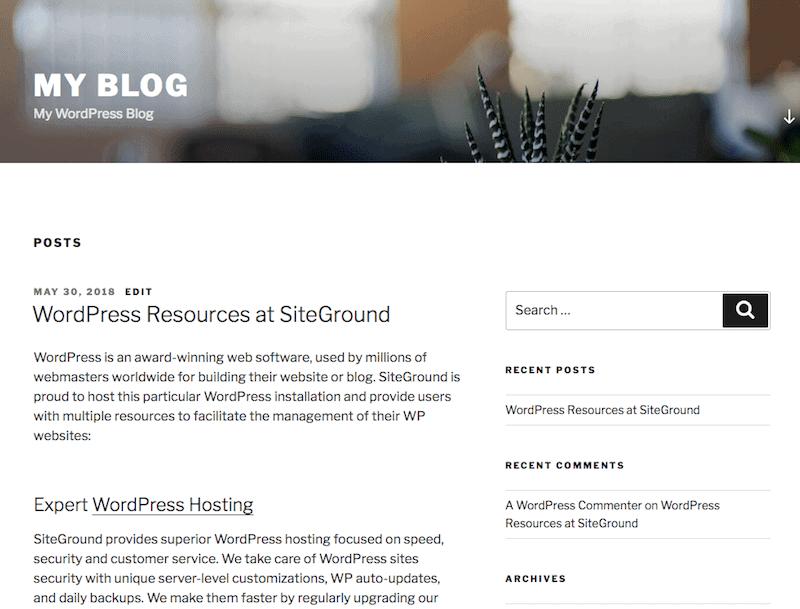 During installation, a default theme is activated on your WordPress blog and you'll need to change it in order to customize the look and feel of your blog. Premium themes have better design, more customization options, better features and they offer regular updates & support. So, I recommend that you use a premium theme instead of a free theme as themes are pretty inexpensive (most themes would cost you around $50-$60) and using a premium one will allow your blog to look unique and stand out. On this blog, I use a premium theme called Ignition Theme offered by Thrive Themes. They offer several other themes from which you can choose and use on your blog. There are many other popular themes like Genesis themes and Divi themes as well. However, I recommend you use Thrive Themes because they are built for speed and conversion and are well designed. Plus they offer much more than just themes. They offer some very popular plugins like Thrive Architect (for building landing pages and beautiful blog posts) and Thrive Leads (for creating opt-in forms). Now let me show you how to install and activate a new theme! 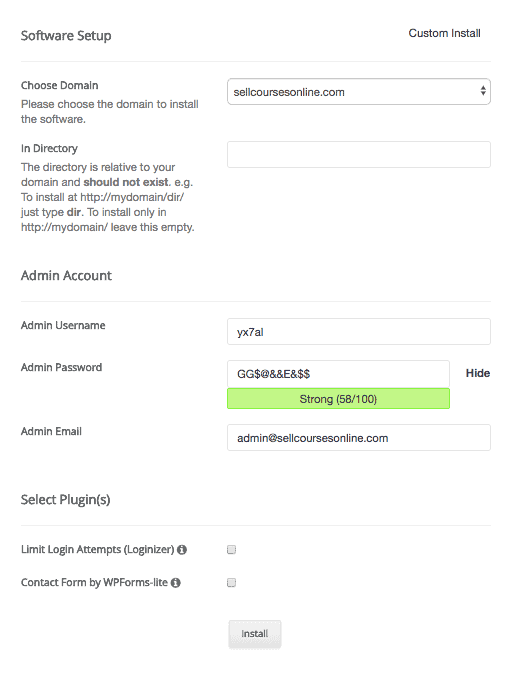 Login to your WordPress dashboard by visiting www.mydomain.com/wp-admin and make sure to use the same username and password you created during WordPress installation. Once you login, you will see a welcome page and a sidebar panel on the left where various admin options are located. From the sidebar, go to Appearance -> Themes. 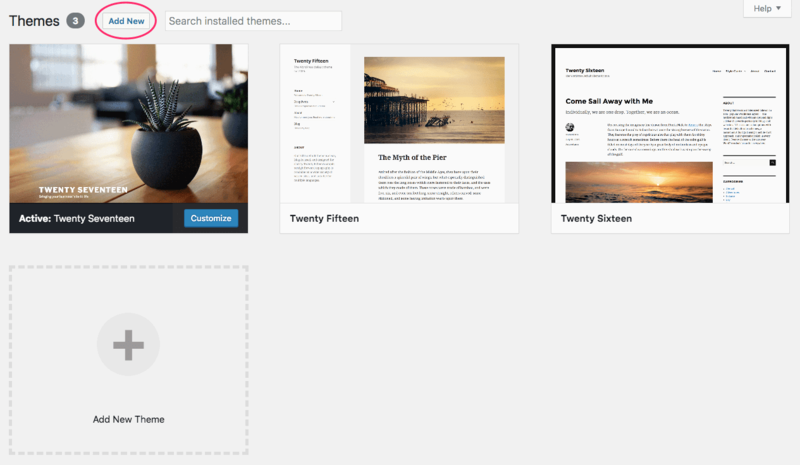 Here you'll see the default themes that are installed on your blog. Click on the Add New button. 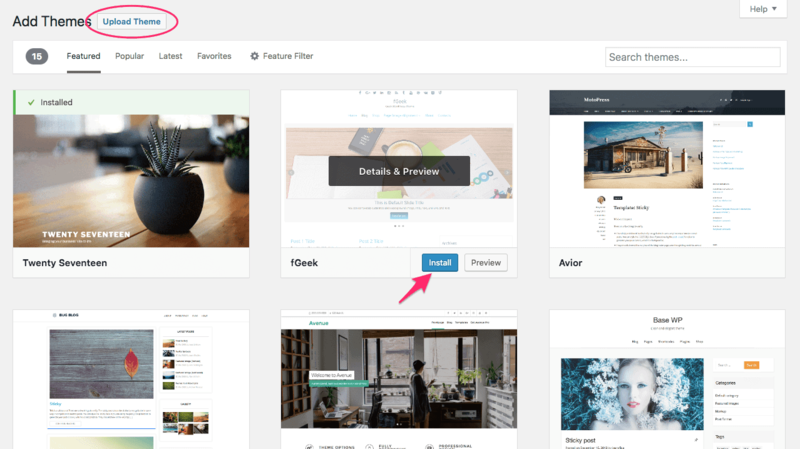 Next, you'll see various free themes offered by WordPress. If you decide to use a free theme, you can search and install one of these themes. However, if you want to install a premium theme, click on the Upload Theme button. Here you'll upload your theme file. The theme file will be in .zip format and your theme provider will provide you that. Once the installation is complete, you can click on the Activate option to activate your theme. Obviously, you would want to further customize the look and feel of your blog. In order to do that, go to Appearance -> Customize. Here you will see various customization options. For example, you can change your theme colors or add your logo here. As you make changes here, you'll see those changes on your blog in the real time on the right. Feel free to browse around and explore all the options and in 5-10 minutes, you should be comfortable with the customization options. So, you're now ready to add content to your blog and in the next step, I will show you how to write and publish your first blog post on WordPress. Creating a blog post in WordPress is pretty simple. It has an intuitive text editor that makes creating and editing a blog post really easy. To create a new blog post, go to Posts -> Add New from your WordPress dashboard. This will take you to a new window where you'll see the text editor and a host of other options for writing your blog post. Blog Post Title: This is where you write the title of your blog post. Blog Content: This is where you write the actual content of your blog. This works like any text editor. You can write text and add images here. Formatting: This is where you can style your blog content. You can change your text style, heading type, alignment etc. here. Publish: This is where you publish your blog post and make it live. You can save the draft version of your blog post by clicking on the Save Draft button. Categories/Tags: You can define a category or add tags to your blog post here. Categories and tags are used to organize your blog better. Featured Image: You can add the main image for your blog post here. You can add all types of content including text, links, images and video to your blog post so as to make it engaging. Another thing that you need to do before publishing your blog post is to make sure that it is optimized for search engines and for that I recommend you install a free plugin called Yoast. Yoast is an all-in-one SEO plugin that tells you how optimized your content is for search engines and also gives you suggestions for making your content more SEO friendly. When you're ready to make your blog post live, just click on the Publish button and your post can then be seen by your visitors. While the process of creating a blog post in WordPress is really simple, writing actual blog post content will take some effort and time. You should come up with a few blog post ideas and then do the writing part. You can also hire a freelancer from UpWork to help you with research and even content writing. Congratulations! Your WordPress blog is now live and you have also created your first blog post. Now, it’s time to add more content to your blog and start promoting it. The key is to follow a consistent schedule for creating blog posts as well as marketing them. Unless you do that, you won't see any significant results from your blog. Did you find this guide helpful? Or, do you have any questions? Either way, leave a comment below and let me know. Disclaimer: I am using affiliate links within this post, so if you do want to go purchase the tools mentioned in this blog, clicking a link will pass me off a little commission (without costing you anything extra)!